Home > Find a Physician > Norman Latov, M.D., Ph.D.
Norman Latov, MD, PhD is Professor of Neurology and Neuroscience, and Director of the Peripheral Neuropathy Clinical and Research Center at Weill Cornell Medical College. Dr. Latov graduated from Columbia College in 1970, received the MD, PhD degree from the University of Pennsylvania School of Medicine in 1975, served as Medical Intern at Boston City Hospital, and completed his residency in Neurology at the Neurological Institute of the Columbia Presbyterian Medical Center in 1979, where he also served as Chief Resident. Following a research fellowship in Immunology, he joined the faculty of Columbia University where in 1994 he was appointed Professor of Neurology. Dr. Latov joined the department of Neurology and Neuroscience of the Weill Cornell Medical College in 2001, where he heads the Peripheral Neuropathy Clinical and Research Center. His clinical and laboratory research interests are in Peripheral Neuropathy and Neuroimmunology, focusing on the diagnosis and and treatment of inflammatory neuropathies. His laboratory is credited with the discovery of anti-MAG and GM1 ganglioside antibodies that are implicated in the pathogenesis of autoimmune neuropathies, and for developing blood tests that are currently used to diagnose these conditions. His current research focuses on the use of monoclonal anti-CD204 macrophage receptor antibodies for treatment of neuroimmune and inflammatory diseases. He lectures widely, and has over 200 publications, including research articles, reviews, editorials, chapters and books. Dr. Latov was a founding Board member, Medical and Research Director, and member of the National Advisory Council of the Neuropathy Association, which subsequently merged with the Foundation for Neuropathy. His book "Peripheral Neuropathy: When the Numbness, Weakness and Pain Won't Stop" (American Academy of Neurology) was written with the aim of demystifying the illness for patients and their families and friends. 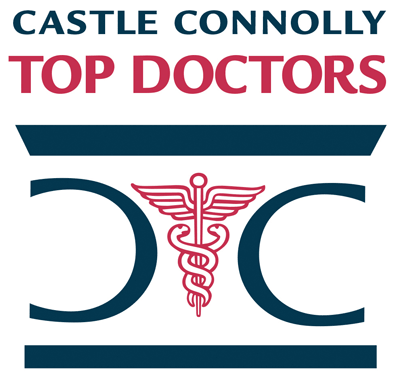 Dr. Latov has been selected as one of America's or New York Metro Area's Top Doctors, by Castle Connolly, annually since 1998. Norman Latov, M.D., Ph.D. has been named one of America's Top Doctors by Castle Connolly. We have 384 of America's Top Doctors in 57 medical specialties.